Models in teal satin skirt suits and sunglasses. Hello, bold move! 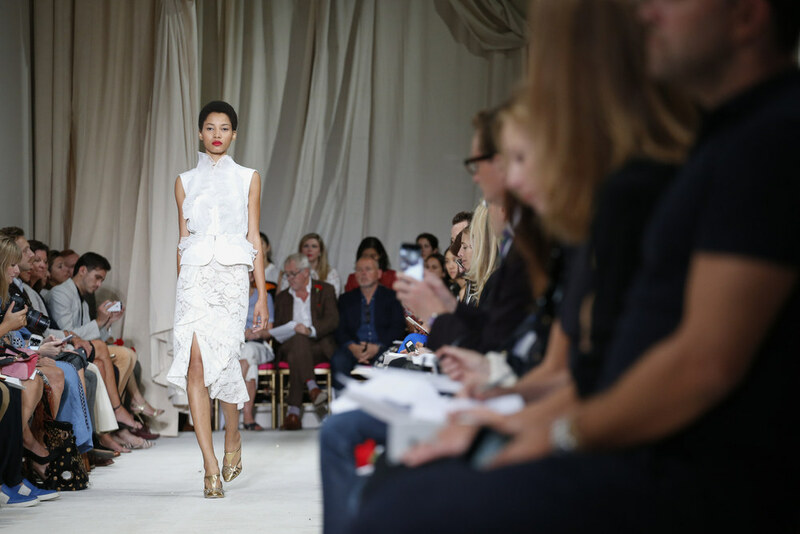 Oscar de la Renta is dishing up more than just diaphanous gowns for SS16 (although those were on hand as well). He's offering lace (black, even! ), rich florals and saturated colors. In many ways more a fusion between our fall cravings and our spring wishes, the catwalk was a cascade of ruffles, silks and flowers. What did I really love? The undeniable ladylike luxe. The modern fit. The tailoring. The restrained (read: wearable) opulence. It's inspired me to add a bit more lace to my life and reconsider my pencil skirt inventory. For that, Oscar, I thank you.